Working out is better together. Studies show that those working out with a partner, exercise 200 percent longer than those doing it alone. 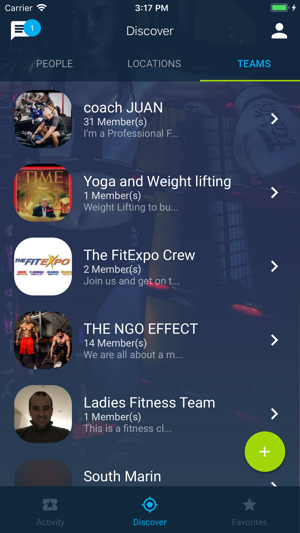 FitMatch is an exciting Yelp-meets-Tinder social fitness app which makes connecting with like minded fitness lovers easy, fast and fun. Whether you're on the go or around your neighborhood, FITMATCH connects you with fitness lovers in your area, who are both inside a nearby gym or engaging in outdoor activities. Need a spotter, running partner or swimming buddy or morning workout friend? FitMatch has got you covered. Skipping a workout because you don’t have a friend or don’t know where your gym is are excuses of the past. Get together and get moving. 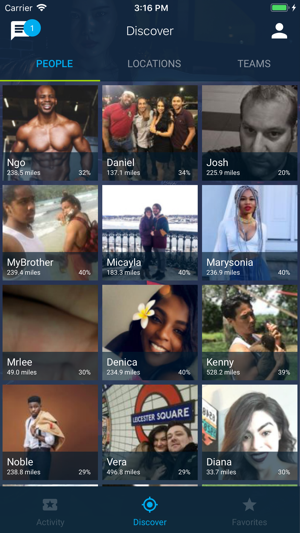 Using geolocation technology, FitMatch shows you information in real time about gyms, studios, fitness classes and outdoor training spots in your area, shared by fitness fans just like yourself. 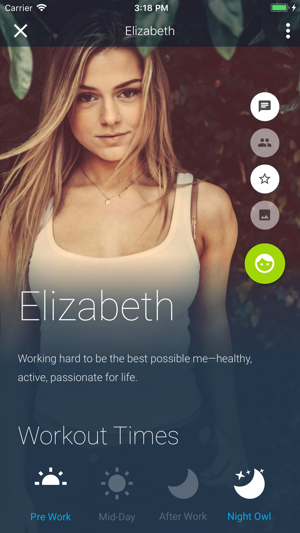 Match and chat with fellow fitness lovers based on activity, skill level, workout time preference and more, through customizable profiles. Introducing the new activity feed. 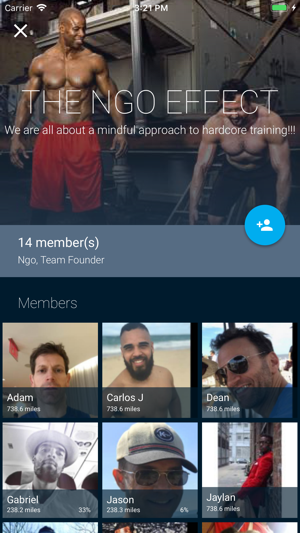 Post photos of your workouts and events, and encourage other by commenting. See what's happening around you and jump in the conversation. This is a great way to stay in shape!! So happy i came across it! This app is fantastic! I love being able to connect and communicate with people who share a common interest not only in fitness, but more specific activities. As someone who also travels a lot, it's a great way to meet people when visiting new places.